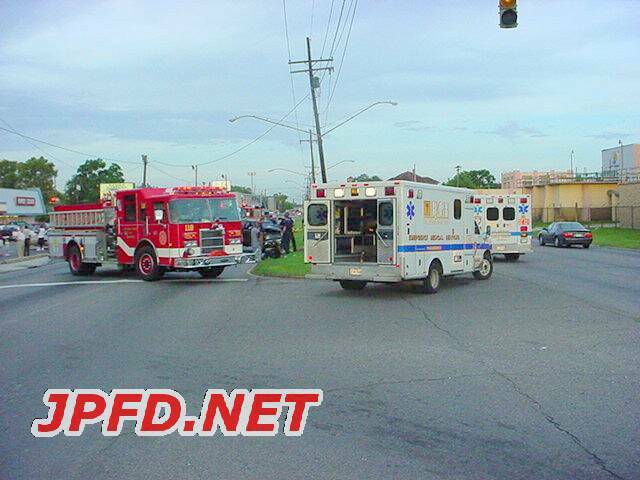 JPFD.net On Scene: Four Car Accident@Jefferson Highway and Lauricella Ave.
On, August 16,2002@around 6:05pm firefighters were notified by a passerby that an accident had just occurred near the station. After determining the location of the accident, units checked the scene for injuries. 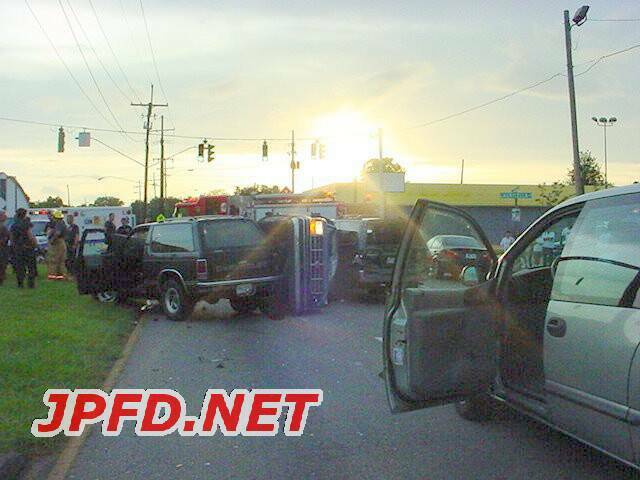 Despite the perilous position of the four cars, no major injuries were reported.